Following the success of its inaugural art exhibition with vibrant pieces from Billy Ma earlier this year, Merci Marcel Tiong Bahru returns with another curated showcase featuring Singapore-based, French artist Gabriel DUFOURCQ. As part of Marci Marcel’s commitment to supporting local and international artists, this new month-long installation will showcase some of the unique and original works from Gabriel’s collection – ‘Find a Word for it’. 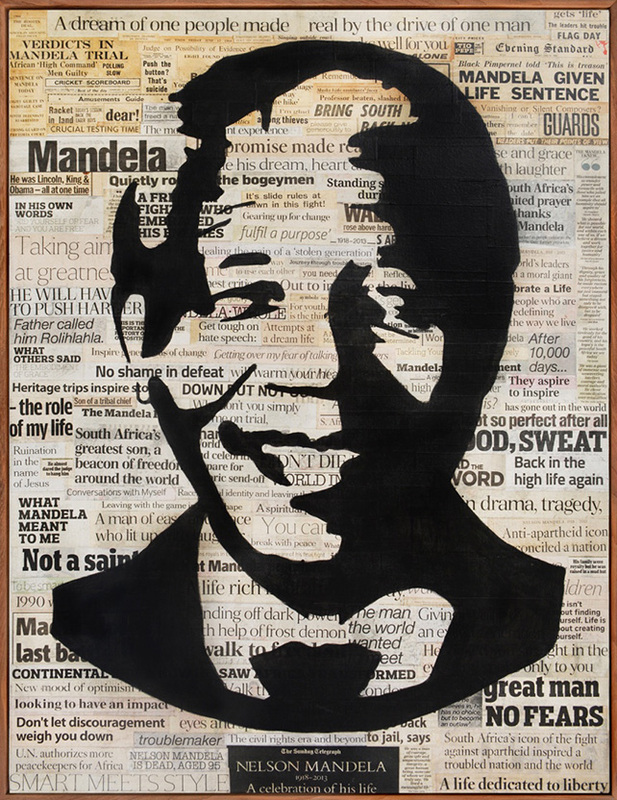 Known as ‘the artist creating icons out of newspapers’, Gabriel explores and encourages guests to think of how the media might have influence the public perception of political and contemporary icons with each piece. Made out of original newspaper, each creation takes over 300 original newspaper title clippings, and over a year to complete. Fusing the medium of newspapers with pictorial symbols of popular icons and political leaders such as the Beatles and Obama, the month-long art exhibition treats guests to a visual feast and draws them in to the thoughtfulness behind the amalgamation of Gabriel’s concepts alongside Merci Marcel’s contemporary French culinary creations and fine selection of craft beverages. Gabriel settled down in the sunny island over a decade ago and has existing works including ‘Lee Kuan Yew’ and ‘Charles De Gaulle’ that are exhibited as resident pieces in Merci Marcel Tiong Bahru.